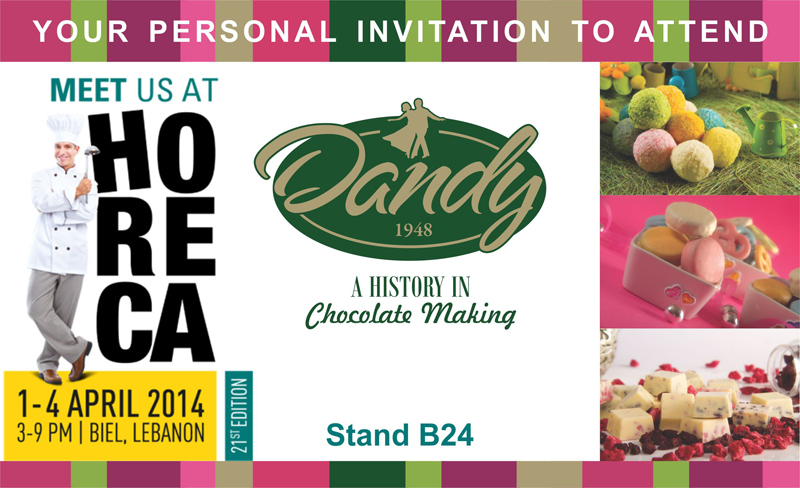 Dandy chocolate will be participating in Horeca 2014 exhibition in Lebanon - Biel from the 1st to the 4th of April; stand no. B24. We will be showing our latest innovations along with our new collection of unwrapped chocolate and our new collection of confectionery: Nougats , Turkish delights and real fruit jellies.